When I wrote Heroines on Horseback, I looked briefly at the impact that the development of paperback publishing had on the pony story. I was looking then at publishers like Armada, the paperback arm of Collins, whose business model was to produce paperback versions of books children wanted to read, in an often standardised and abridged format. Armada and Dragon tended to concentrate on popular series and genres: school stories, Enid Blyton, and of course the pony story. Puffin’s publishing model was subtly different. Puffin’s first editor, Eleanor Graham, aimed to give children the best of children’s literature, a model Kaye Webb, its next editor, followed and developed. 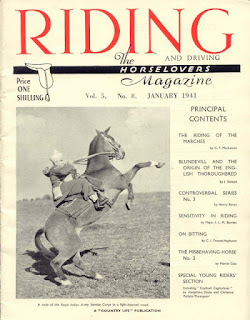 It’s interesting to look at the horse stories that Puffin published in the light of this, and that’s what this short series of blogs will do. Eleanor Graham (1896-1984) was born to a father who was the editor of Country Life and a mother whose passion was books. After a brief interlude when she studied medicine, Eleanor’s life entered the world of the book and stayed there. She left her medical studies to work in the newly established children’s department of Bumpus’s bookshop in Oxford Street, London. On starting work, she told her employer that she knew nothing about children’s books, and was told not to worry, as no one else did either. She applied these standards to her work with Puffin Books, which was set up by the founder of Penguin Books, Allen Lane, in 1941, despite the fact there was a war on and paper restrictions were making life difficult for established publishers, let alone new ones. Added to that, publishers were reluctant to release the paperback rights of their books. These factors, and Graham’s insistence on quality, led to a slow expansion of the list, a list which consisted for some years of reprints. All eight stories with horse content that Graham chose during her editorship were indeed reprints, and not one of them is the conventional girl plus pony story. Horses are certainly allowed to be at the forefront of the stories, but preferably at a distance, whether geographical or historical. This was a focus which was reflected in the rest of Puffin’s early input, with its historical stories like Jehan of the Ready Fists and Columbus Sails. Will James’ Smoky (1941) was one of the first titles to be published. Like Gerald Raftery’s Snow Cloud, Stallion (1959), the horses are set firmly at the centre of the stories, but neither are conventional English horses, calmly cropping grass in a field. Snow Cloud runs wild in Vermont, and his story is one of redemption as he recovers from a life of abuse to become an equine hero. Smoky has a similar story after he is captured from the wild, becomes a fine cow pony but is then set on a path of decline and ill treatment until he is rescued by the man who first trained him. 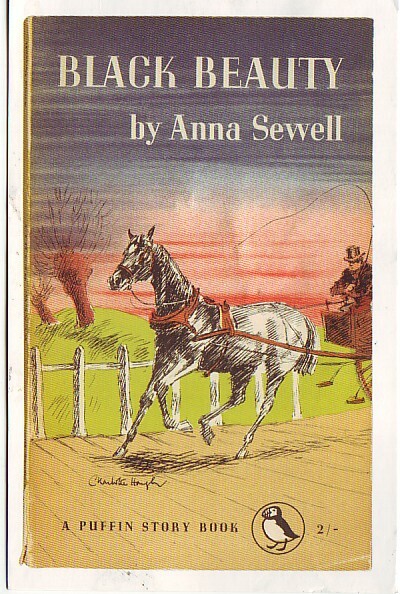 Both books mirror the quintessential horse story, Anna Sewell’s Black Beauty, which made its appearance as a Puffin story book in 1954, and is still a timeless portrayal of the way man treats the animals who make his life possible. Children come more to the fore in Muriel Dennison’s Susannah of the Mounties (1949), another book set well away from green fields and gymkhanas. Set in the Canadian Yukon, it is the story of nine-year-old Susannah, who longs to become a Mountie. Kate Seredy’s The Good Master (1959) continued the theme of a distant location. Set in Hungary at the turn of the 19th and 20th centuries, it is more a farming story than one of horses, but the horses are ever-present. The book also uses one of the themes that became a mainstay of the pony story: the healing effect of the countryside. Urban Kate soon blossoms once at the farm. 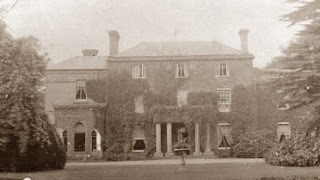 The Good Master is a particularly attractive book, filled with a sense of comforting and industrious family life, with everyone working for the common good, and pulling together despite drought, snow and accidents. But three of these early Puffins are set in rural England. It’s interesting to speculate why Eleanor Graham chose two Romney Marsh titles from Monica Edwards’ output. Perhaps the Punchbowl Farm books, with their concentration on domestic and agricultural detail, were felt to be a little too close to the comfortable middle class world of most pony books. That is not something that can be said of Storm Ahead, a chilling picture of the effects of flood and tragedy on a community. Both Storm Ahead (1956) and The White Riders (1956), are really adventure stories in which ponies happen to appear. Although the ponies play pivotal roles in the stories, with Tamzin’s pony carrying her through the floods to Rye to fetch the doctor to Lindsay, and ponies being dressed up as spectral steeds in The White Riders, gymkhanas, and loving pony care are far from central. The attention is on the human, and not the equine. The most conventional pony story of this period is Ann Stafford’s Five Proud Riders. 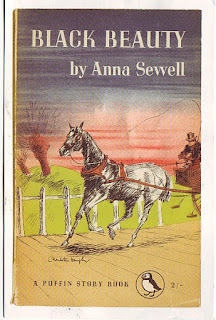 Published by Puffin in 1953, it originally appeared in 1937, and is an early example of the time when the focus of pony stories was starting to move from the pony to the child. Ann Stafford does indeed get a gymkhana into this book, but has it all done and dusted before the real meat of the book, the trek the children go on, takes place. The real tension is from the human drama, and not whether or not the ponies get a red rosette. Eleanor Graham retired from Puffin in 1961. She believed that children should be given the best that was on offer. Unlike later paperback publishers, she did not abridge stories. If authors had seen fit to give children 60,000 words in the original, that was what they got in the Puffin versions. Puffin proceeded with the entirely admirable aim of giving the children the best, and I find it cheering, and not the reverse, that some horse stories made that cut. All publication dates are the Puffin publication dates. Most of my books are not Puffin firsts. 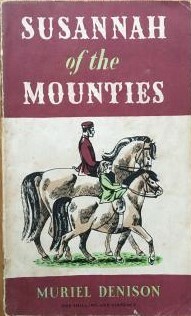 The earliest titles, including Smoky, were originally published in the familiar three stripe format of the adult books. You can see them here. I've still got that version of The White Riders, although I do have the GGBP edition on order. I've read most of the others, and particularly love The Good Master, although my copy is a hardcover. Strangely enough, considering I live in Canada, I've never read Susannah of the Mounties. One early Puffin I owned for years was Cynthia Harnett's The Wool Pack, a fine historical which I bought a hardcover copy of after the cover fell off the old Puffin. It also isn't really a pony book, although Nicholas does get his own horse in it. I absolutely agree with you about The Wool Pack - an excellent book. I upgraded my Puffin Good Master too, which I rather regret. Like you I still have my Puffin White Riders which I am sentimentally attached to as it is the first Monica Edwards I ever read. I read The White Riders in1962' but by that time Storm Ahead had gone out of print. I've always been puzzled that The White Roders was reprinted, but not Storm Ahead. I didn't manage to get a copy until 1998. I didn't get a copy of Storm Ahead until quite late on either. I wonder if it wasn't reprinted because of its subject matter? White Riders is an entirely lighter read, with the baddie worsted. In Storm Ahead people die. It's the sort of book that perhaps alerted parents' protective instincts leading them not to buy it, particularly if they could remember the disaster themselves. There is a story about one of Allen Seaby's books, whose cover had to be changed as it showed horses fighting and there were parental complaints about too much violence. Perhaps this was what did for the book.